University of Georgia Skidaway Institute of Oceanography scientist Clark Alexander is working on a project to predict how the Georgia coast—characterized by a complex system of barrier islands, salt marshes, estuaries, tidal creeks and rivers—may look 25, 50 and 100 years from now. As sea level rises over the next century, that picture is changing. 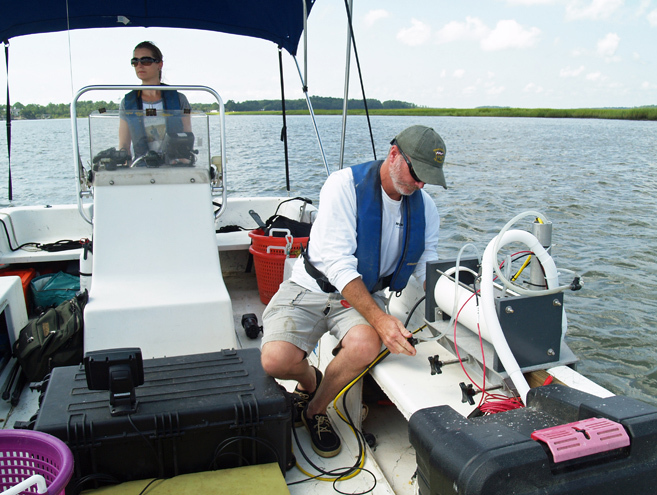 Researcher Mike Robinson adjusts the salinity monitoring equipment while LeAnn DeLeo drives the boat. 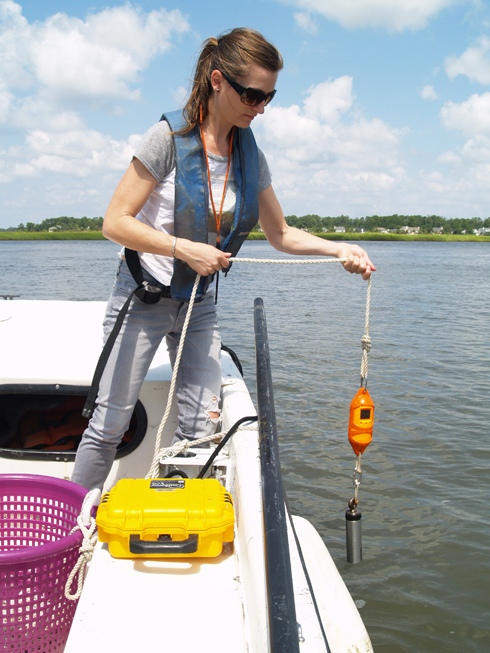 Researcher LeeAnn DeLeo lowers the sensor to measure conductivity, temperature and depth from the surface to the bottom. The Savannah Morning News published a very nice editorial about UGA Skidaway Institute today. Skidaway Institute professor Clark Alexander figured prominently in an in-depth story on sea level rise in last Sunday’s Atlanta Journal Constitution. Nice piece.